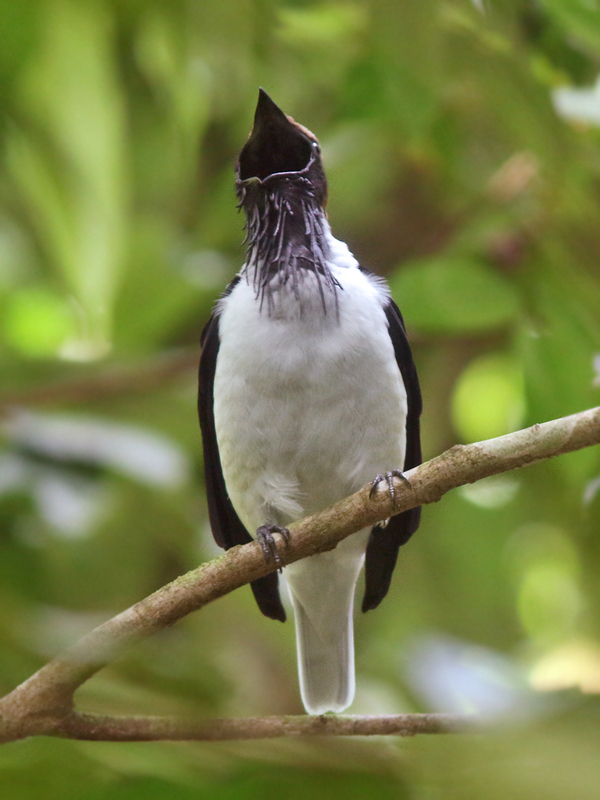 Bearded Bellbird is one of the most exciting birds that can be found on the AWNC trails. Considered the loudest bird in the world, their deafening “gong” calls travelfor miles and can often be heard echoing up the valley. We had the great fortune of finding this one on a relatively low perch, where we learned just how loud its voice could be!